This is the first #inspirationalmonday since my tonsil removal surgery. And even though I am, obviously, pre-writing this post, I hope the surgery went well. You can follow it through my snapchat (rosiefwaldherr) and my instagram (rosiewaldherr), where I will be posting updates as much as I can. Anyways, on to this week’s Inspirational Monday quote! How many times have you compared yourself to someone else? Be it your friends whom you think is more beautiful, smart or cute than you or that co-worker who seems to have a way to always get everything right – who hasn’t compared him/herself to someone? It’s exhausting and it does not bring anything. Stop it. Now. That person next to you is just as good as you. They might seem to have everything under control, but they might go home and compare themselves to you. Why do we put ourselves through this? Comparing ourselves to someone else, doesn’t help you be a better person. Someone being better at something than you, does not make you someone worse. You are you. You are good at what you are and if everyone would be good at making cocktails instead of cooking, we’d all starve. We’d probably also be very drunk and not even realize we’re starving, but you know what I mean. 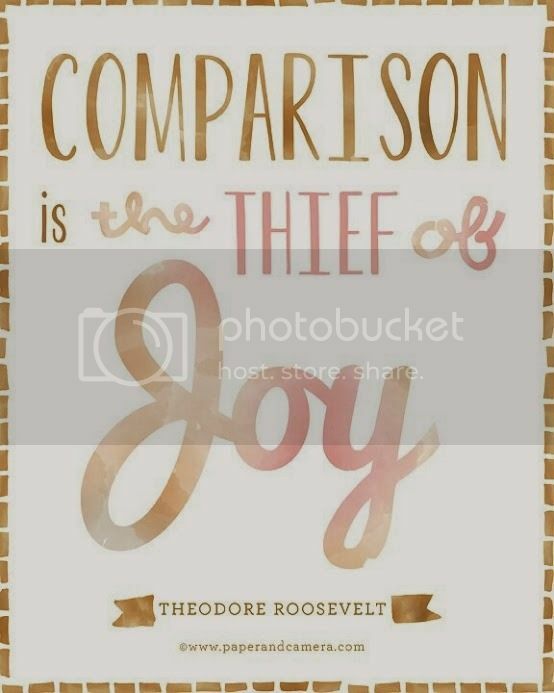 Next time you find yourself comparing yourself to someone else, whoever it is, stop and take a moment. You are an amazing person, just the way you are. You’re good at the things you’re supposed to be good at. You don’t need to know how to do everything! Start congratulating yourself for all the things you’re good at, instead of comparing yourself to the next person. You’re better than that, you’re the most important person in your life – remember that! Previous Post Is today’s generation doomed?